It is widely accepted that without governance your intranet is doomed to failure. 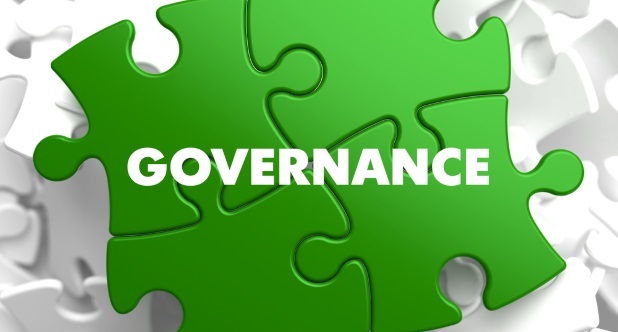 Occasionally there are exceptions to the rule, but these are typically when a particularly talented individual is leading the intranet and although it’s not called governance, their day to day efforts mimic everything that good governance would deliver. I thought I would share with you my top tips on intranet governance. If you would like to read more download our intranet governance guide. So what is governance all about? In a purely literal translation, the word govern comes from the Latin word ‘to steer’. So we can visualise intranet governance as us steering the intranet towards its required destination. Now without a clear destination the act of steering becomes irrelevant, hence why one of the tips below is about having clear objectives. Taking a wider view of intranet governance, is really about documenting expectations of what the intranet does, granting people the power to make things happen and verifying that the intranet is performing as expected. So what tips can I offer on implementing intranet governance? You need to focus your objectives on why you have an intranet rather than what it does. These objectives are your destination. If you can’t clearly state the objectives of your intranet then you have a more fundamental problem than lack of governance. Your group should consist of a balanced selection of individuals from across the business (governance is not the sole job of IT). Ideally you will have a senior sponsor, someone from IT, your intranet manager (or equivalent), an HR person and some line of business users. You’re aiming for between 5 to 10 people. This should cover what content belongs on the intranet, who are the owners and who has authority to approve content (where required). This strategy must be communicated and agreed with the people involved and their line managers to ensure that suitable commitment is received. This could include meeting new objectives or improving on existing objectives. Prioritise the roadmap so you can continually improve the intranet in manageable bite size developments. Your measurements of success/failure, improvement/drop-off will be directly related to the objectives of your intranet. But you must agree upfront what you are measuring and how you are measuring it. Include staff in the journey so they feel involved and engaged. Ask them for suggestions and feedback and provide responses to those who bother to help you. This document should be accessible to all staff via the intranet and should state the intranet objectives, roles and responsibilities of the governance team, content management strategy, performance metrics, development roadmap and responses to feedback. Although they are not experts in your business they can offer experience, perspective and advice to support the long term success of your governance strategy. I hope you have found this blog useful. If you would like to read more, download our intranet governance guide.